Cirque Equinox European Circus – The Nerveless Nocks Entertainment Productions producing Thrill, Stunt and Circus productions world wide since 1840. Producing the finest in Cirque Variety from one of the oldest Cirque producers in European history, established in 1840, The Nock Family produces a 2 hour state of the art production as well as custom shows for corporate events, Broadway stage shows, commercials, Cirque Under our Big Tops and more. 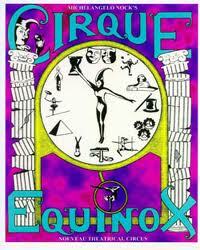 We are based in the Circus Capitol of the world, Sarasota, Florida USA, since 1932.